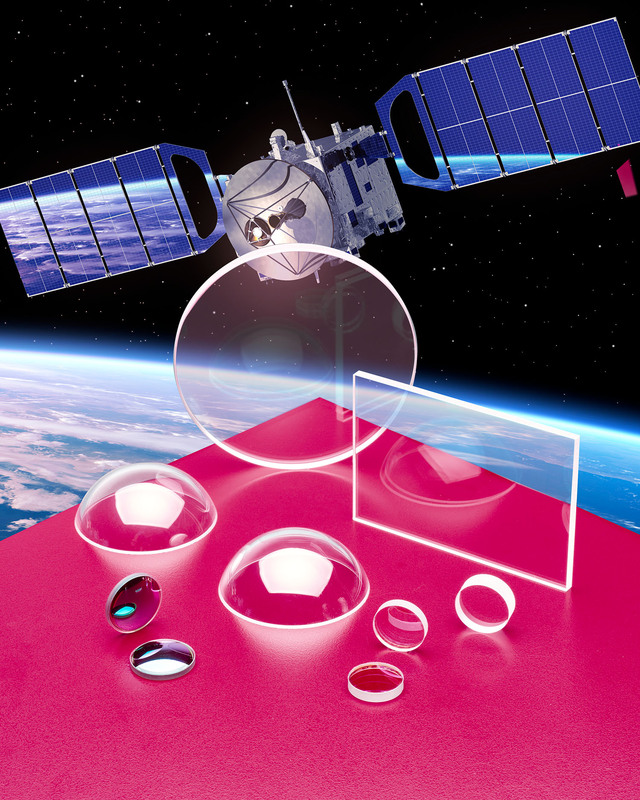 Custom fabricated sapphire optics that can withstand temperature extremes and fast moving particles to protect sensors and detectors in aerospace applications are available from Meller Optics, Inc. of Providence, Rhode Island. Meller Sapphire Optics include custom fabricated lenses, detector windows, and domes that are chemically inert, impervious to water, fast moving dirt and sand, and can withstand temps. to 1,000°C and pressures to 10,000 psi. Offered in 3/8” to 4” dia. sizes and various wall thicknesses with ±0.001” tolerance, they feature Mohs 9 hardness which is second only to diamond. Selected by NASA for use on the Kepler Space Telescope, Meller Sapphire Optics exhibit up to 85% transmission from the UV to IR and include A/R coatings for enhancing transmission to > 99%. Surface finishes from 60-40 to 40-20 scratch-dig, flatness held to 0.5 fringes of HeNe, and parallelism from 20 to 2 arc/secs. can be provided, depending upon configuration. Meller Sapphire Optics are priced according to configuration, size, and quantity. Price quotations are available upon request.